Happy Thursday to you, it's Rhonda here to host the blog for you today. 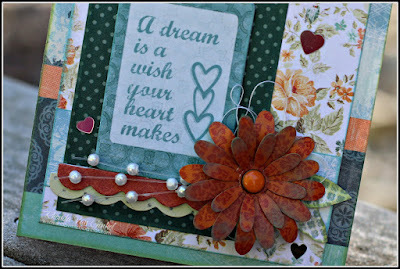 I have a card to share with you today which uses our accent stripe pattern paper (Farmhouse 106) as the base for my card. This paper has such a nice variety of stripes and makes it look like you've created multiple layers, but you really haven't. Next, I layered Farmhouse 102, then a simple one inch strip of the Farmhouse 103 centered on my second layer in between the blue background design. Then, I added my larger tag and layered my sentiment Dream Tag to the center. 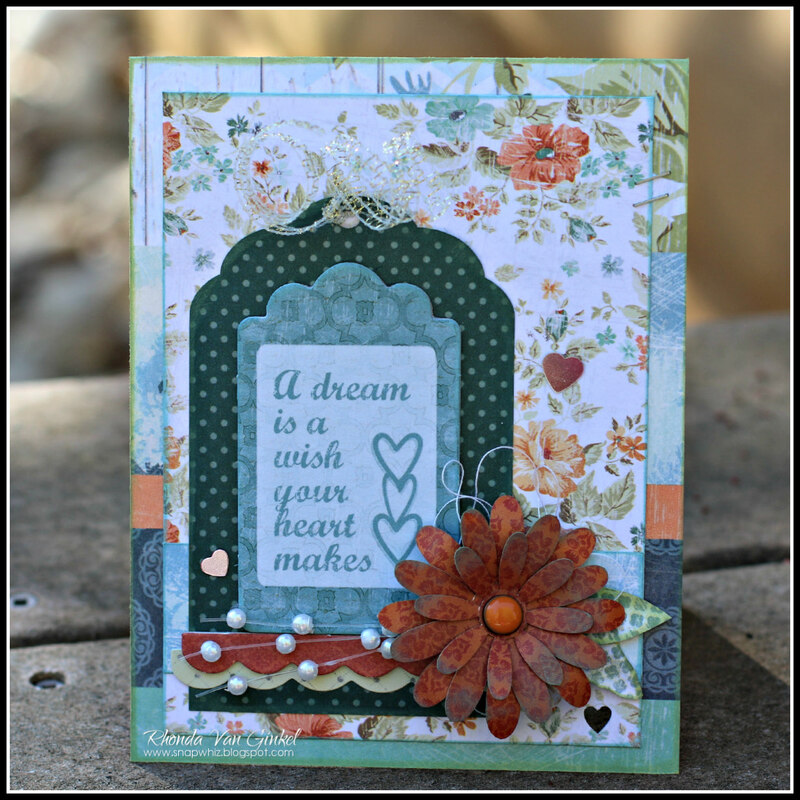 A few scalloped accents help to anchor the sentiment. To complete the card, I've added a previous Club Q flower that I inked lightly with Sky Blue. The leaves I cut free hand and inked with Light Moss. The pearl spray I tacked down with a few micro glue dots on the end pearls to keep them in place. Thanks so much for stopping on over to the blog today! Have a fabulous Day!! !